Learn more about the impact of community radio, our unique approach to building stations, and the incredible diversity of community radio stations on the air today. Why do we believe in community radio? Transformative. Community radio stations have organized workers to win better wages, cleaned up toxic waste, and registered voters. Accessible. 90% of Americans listen to radio at least once a week. Radio can reach those who don't speak English or don't have Internet. Affordable. For listeners, broadcast radio is free, and for producers, community radio is much less expensive than commercial media. Local. 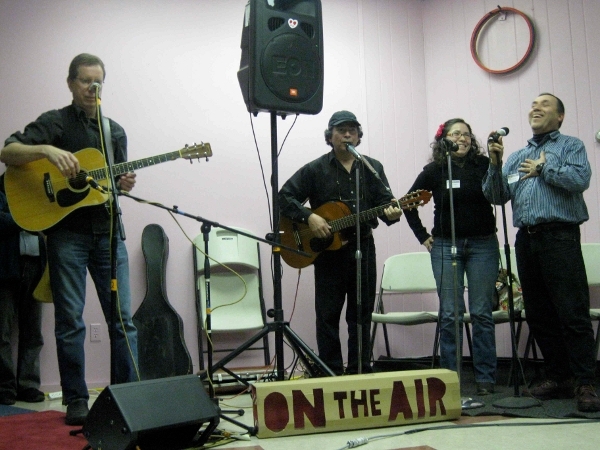 Community radio strengthens community ties and builds civic engagement. Community radio covers news and events that don't get enough airtime at bigger outlets, such as local elections, school board meetings, and neighborhood arts festivals. Participatory. Community members participate in the programming and governance of a community radio station, ensuring that the station is relevant and meets local needs. This audio compilation consists of clips from broadcasts and podcasts recorded by community radio stations around the nation. They illustrate the variety of unique programming being produced by and for communities everywhere.